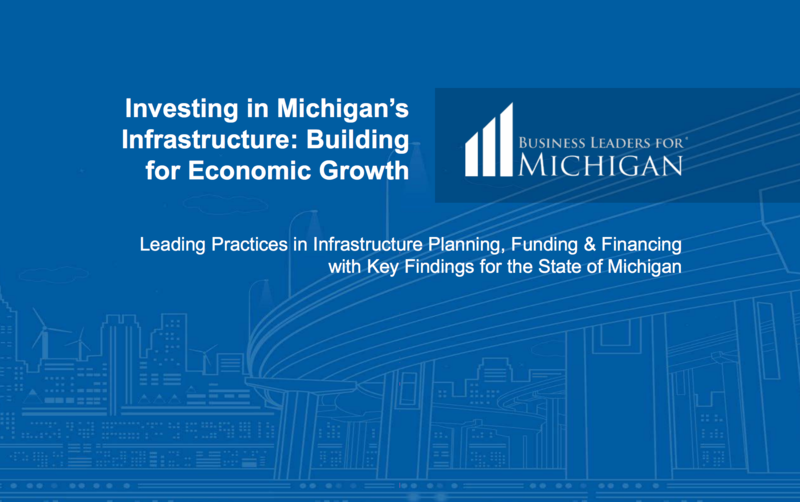 Read BLM’s study on Michigan’s infrastructure that includes an assessment of promising best practices that can be brought to scale to address Michigan’s unique needs. While infrastructure needs are a growing challenge across the U.S., there are key strategies—coordinating councils, asset management tools, and new funding mechanisms—that Michigan can use to make our infrastructure one of the nation’s finest. The BLM report documents MI’s needs in detail and identifies best practices others have used to address similar challenges.